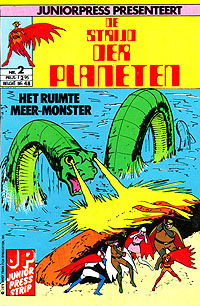 Three Dutch language comics were adapted from US versions. 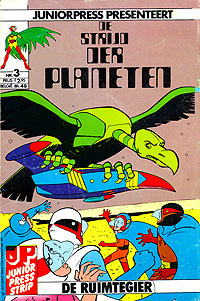 Issue 1 - G-Force in Action, Issue 2 - The Space Lake Monster and Issue 3 - The Space Vulture. 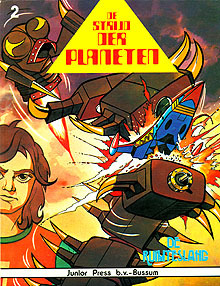 All were squarebound, full color and printed in 1980 by Junior Press. 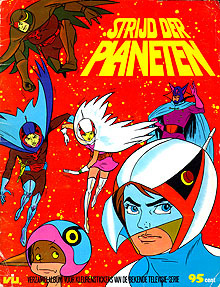 These four comic volumes were adapted from the Spanish originals that were based on Battle of the Planets episodes. 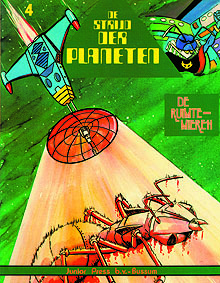 The book titles were, Issue 1 - The Space Mummy 3, Issue 2 - The Space Snake 4, Issue 3 - The Space Pirate 7 and Issue 4 - The Space Ants 10. 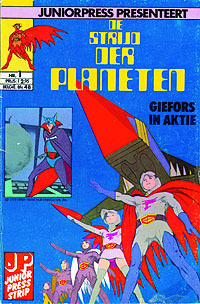 Issue 1 contained two stories and a special section about G-Force, while books 2 - 4 contained three stories each. All were squarebound, full color and printed in 1980 by Junior Press. 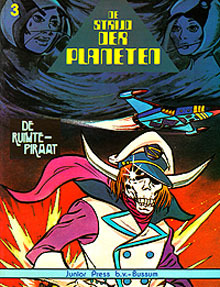 The two card albums made for the Netherlands. The one on the left was a translated reissue of a Spanish album and had space for 240 cards. 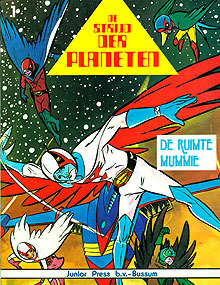 It was printed in 1980 by Vanderhout Internationale Uitgaven (VIU). The one on the right was original to the Netherlands and had space for an amazing 356 "cards." The cards for it were to be clipped and glued into the album from the pages of a Dutch television guide. 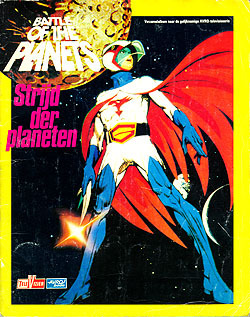 It was presented by Televizier and Avrobode in 1981.